Our EDGE Replay has the fastest download speeds of all the football instant replay systems on the market. Our system downloads a 30 second clip in 2-3 seconds, whereas Hudl Sideline requires a whopping 20-30 seconds to download the same clip. Our replay software has live tagging, which collects dozens of different tagging points instantly. EDGE’s live tagging features leads to in-game stats and opponent tendencies. Our system offers unlimited angles (tight, wide, and endzone) or (both endzones, tight and/or wide) to ensure your coaching staff doesn’t miss a single play. 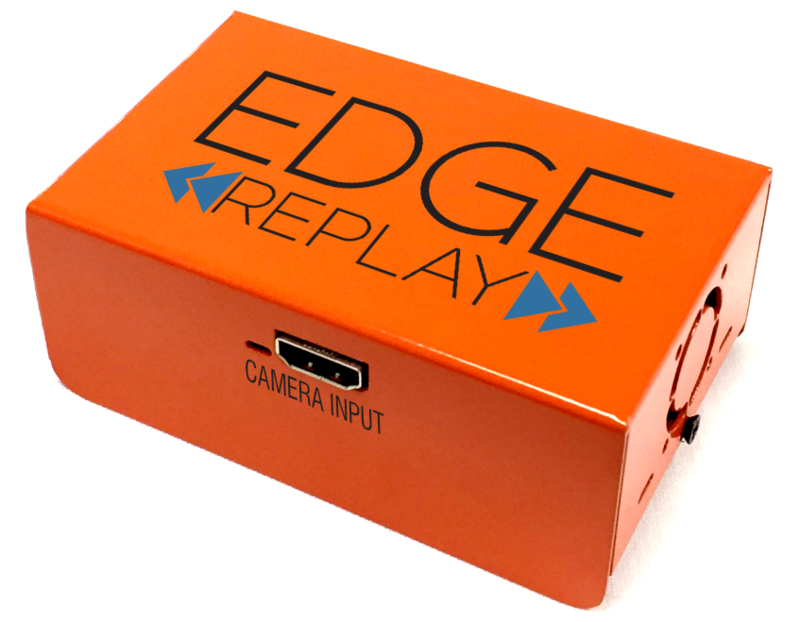 EDGE’s Recorder Box is reliable and designed specifically to capture instant replay footage. Hudl uses modified streaming boxes, which can be laggy, and if the connection is lost, so is the recorded play. Our EDGE Recorder Box never misses a play. Our Recorder Box can store an entire season’s worth of footage. Hudl’s steaming box is incapable of storing footage, leaving you at risk of missing/losing film. With EDGE, you get everything needed to start filming, including HDMI cables, built-in splitter, and a storage case. EDGE Replay is $3,500 cheaper after 5 years of use. That’s a lot of jerseys. For more information on the differences between EDGE and Hudl, check out our detailed comparison table. To order your EDGE Replay system, please call (888) 335-7875 or visit our website to place your online order. Download our EDGE Replay App from the Apple App store too see for yourself. The app has preloaded clips on it to test it out. You won’t be disappointed.